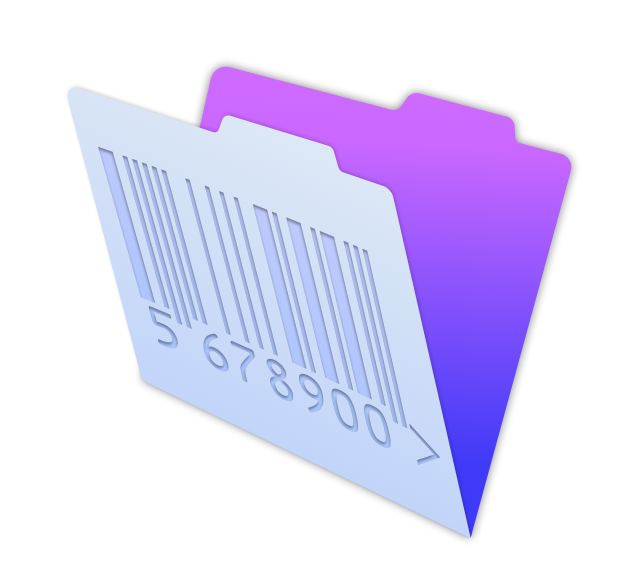 Below you will find a tutorial teaching you how to deactivate Barcode for Filemaker. 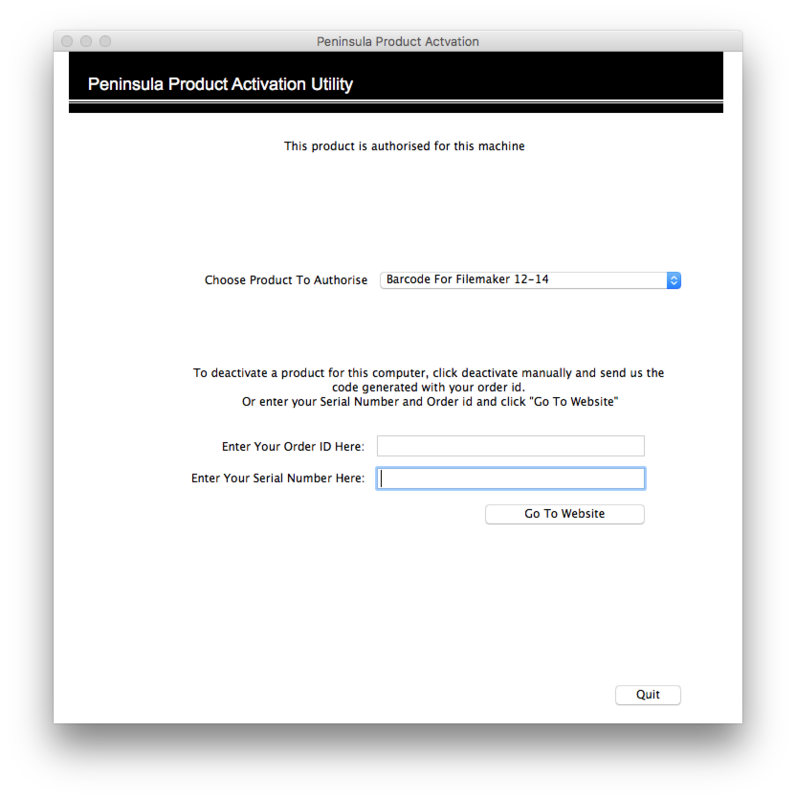 Open up the software and the above Dialog should show. 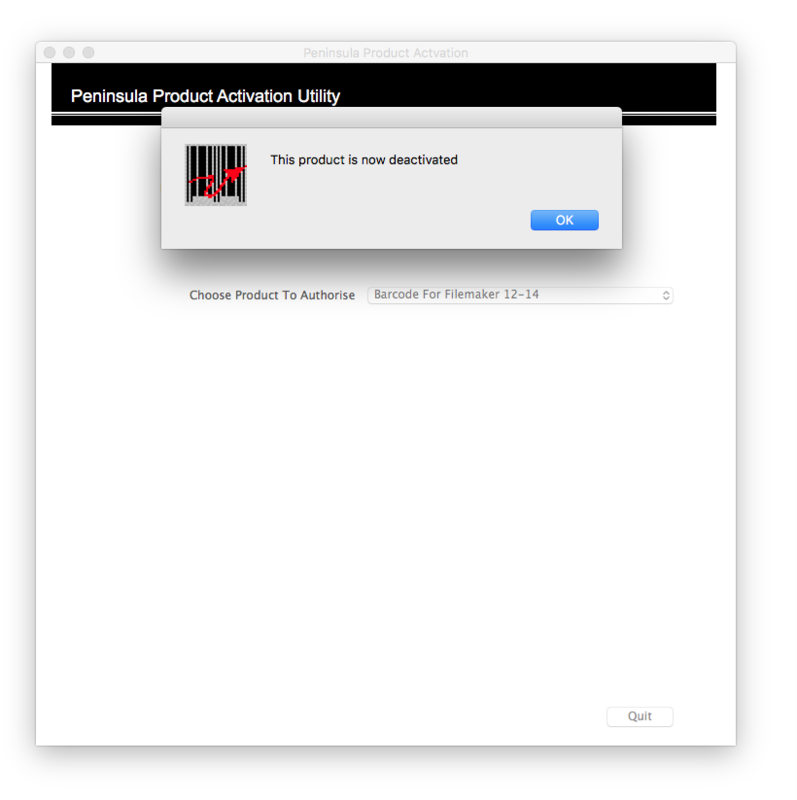 Click on the drop down menu and select The product you wish to deactivate. 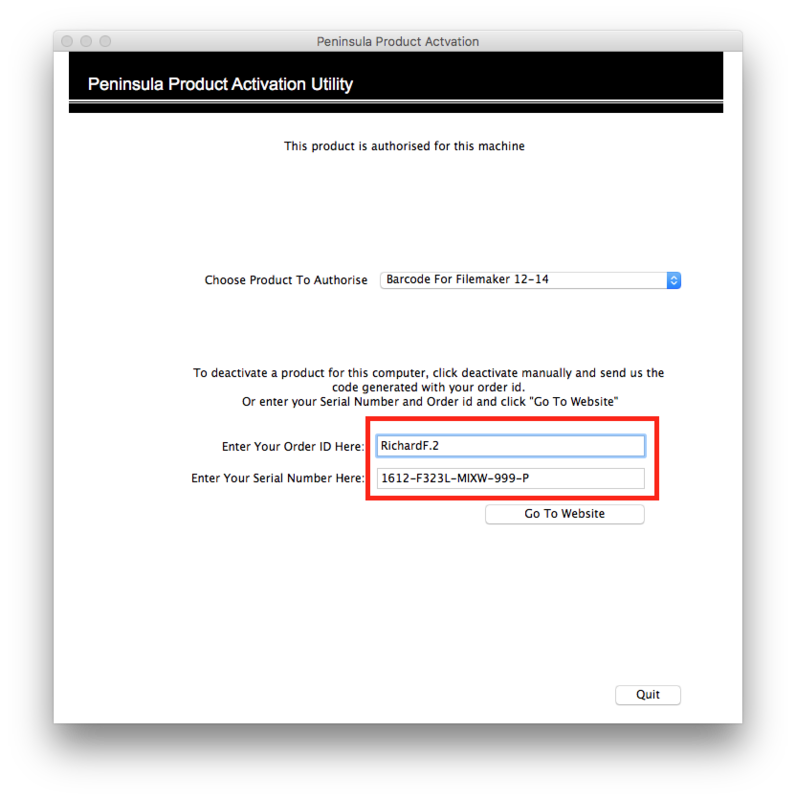 and serial number into the correct fields. Once you have made sure to enter your details into the correct fields, you can click the "Go to website" button.